Today Mike Baird’s Cabinet passed legislation to allow ride share services, like Uber, to operate legally, as the second state to pass regulation in Australia following the ACT. Barriers to legally operate will now been addressed with tighter regulation for background checks, security and insurance issues. Despite the Australian Taxi Industry opposing the decision and being dealt a compensation plan, it is clear consumers are ready to evolve with new on-demand technology like ride sharing, particularly in highly populated cities such as Sydney. As the sole vehicle provider to UberX drivers, Splend CEO Chris King says the time is right for the introduction of the new regulations and welcomes the government’s approach to ride sharing. Splend have consequently developed their own vehicle rental scheme to compliment regulations with a focus on driver qualifications, vehicle safety and passenger safety. 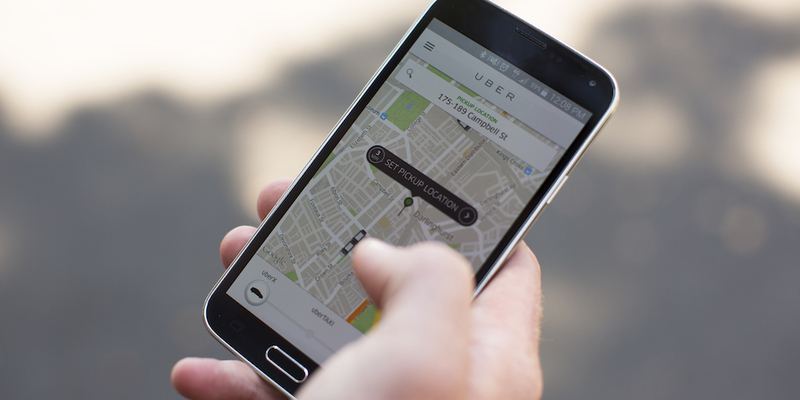 On 06 December 2015, Uber’s new online platform, Uber Marketplace, was announced featuring Splend as the sole partner for all vehicle rental solutions. New Australian start-up Splend, fronted by upcoming entrepreneur Chris King, is shaking up the rideshare industry. Specifically, Splend offers current and prospective UberX drivers access to new and safe compliant vehicles, allowing them to apply with third party rideshare or delivery platforms. Through Splend, more small business individuals have access to UberX – a global ride share service managed through a smart phone app – offering Splend vehicles under a short term or long term agreement. Chris King, CEO of Splend says “I saw a gap in the market when Uber launched to Australia because the platform only accepted compliant vehicles into their fleet, which cut out a huge sector of potential drivers.” According to the ride-sharing app Uber, 10-15% of new driver applications come from people who either don’t have a car or whose car is more than nine years old, preventing them from joining the startup’s ever-growing fleet of drivers which will now double in NSW since legislation has passed. Demand for the vehicle solution is already soaring and there are now over 180 Splend vehicles on the road and 390 approved applicants who will be receiving their brand new vehicle this December in time for Uber’s NSW regulation. Drivers range from students, to freelance creatives, self-funded retirees, or mums with spare hours that want to increase their earning capabilities. Starting from $269 inc GST per week, drivers keep their Splend vehicle for the duration of the contract-free arrangement and can use it for both business and pleasure. The big appeal to engage with Splend is the straightforward package, including a $40,000 brand new SUV or sedan plus Splend cover all on-road costs including stamp duty, registration, maintenance, and comprehensive & CTP insurance. In fact, Splend has Australia’s only Comprehensive Insurance Policy that 100% covers drivers for vehicle & third party property damage when using Uber X on a full-time basis. When it comes to driver accountability, Splend have partnered with FleetRisk driver behaviour technology for cognitive testing of drivers and the Mercurien BetterDriver telematics to track on road behaviour to ensure safety standards are building securer commuter standards. Opting for the most fuel-efficient, environmentally friendly vehicles on the market, Splend have already secured partnerships with Nissan and Hyundai, and fuel discount with Caltex service stations to help Splend ‘Partner-Drivers,’ operate their small business. For small business individuals who can’t afford to buy their own vehicle, or whose current vehicle doesn’t meet the requirements of ride share applications, Splend is the solution to boost employment and lead a balanced lifestyle. To apply for a Splend vehicle and earn an income driving for on-demand services visit www.splend.com.au. Want to know more about how Splend can help you become an Uber driver? Fill in your details below and one of our customer service team will give you a call and answer any questions you might have.